There were plenty of great commencement speeches given this year. From Jim Carrey to Bill Nye (The Science Guy), thousands upon thousands of new graduates listened and received valuable insight on how to take on the world after graduating. But U.S. Navy Admiral William H. McCraven, in a commencement speech at the University of Texas at Austin, probably delivered my favorite (and most unorthodox) piece of advice of all: make your bed first thing in the morning. And since he was the commander of the forces that organized the raid to take down Osama bin Laden, he’s a guy probably worth listening to! While making your bed at 6 a.m. might not exactly seem like a recipe for greatness, he might be on to something. Don’t downplay the importance of a good start. In a sprint race, that first step can mean the difference between a half-second win or loss. That first step is the key to building the kind of momentum that carries us across the finish line. So while making the bed isn’t on the same level as winning the World Cup, it’s still something. It’s still a victory. And every victory, no matter how small, still counts and matters. Don’t treat mundane, menial tasks with disdain. Don’t push them off to the side. Want to prove your faithfulness? Want to prove yourself capable of higher responsibilities? Complete that project no one else at work wants to do. Wash the dishes. Take out the trash. And, yes, make your bed. Like most rooms, my bed is located right in the center. It’s the first thing I see when I walk in. Regardless of how much of a mess everything is, a made bed can make any room look 50 percent cleaner than it really is. On the flip side, a disheveled bed can make a relatively clean room look 50 percent messier. It’s often the little things that make a significant impact on the trajectory of your day. Don’t miss out on those opportunities. “And if by chance you have a miserable day, you will come home to a bed that is made — that you made,” he added. There are days when I feel nothing goes right. I leave my wallet at home. I made a mistake for a project at work. I forgot to bring a pair of socks along with the rest of my gym clothes. But even on my worst days, I can fall back on this -- a made bed. A bed that is in order and made for comfort, for peace, for rest. It’s a place where we can leave behind that day and it’s troubles. A place where you can go to sleep and let it go. Because whether you had a good day or a bad day, tomorrow is a new day. “And a made bed,” the admiral concludes, “gives you encouragement that tomorrow will be better." This is an excellent post - I'm so happy I found your blog! What a great read - I'm totally making my bed! Luke 16:10 is basically an anthem in the small Mennonite Brethren church I grew up in based in Denver, Colorado. I'd forgotten all about that great principal. My word this year is Consistency!! I struggle with anything that requires me to do it every day, but I feel like God is placing that challenge for me. I wrote a similar post about cleaning your car, because it's a small, easily doable accomplishment that makes your feel empowered and in control. 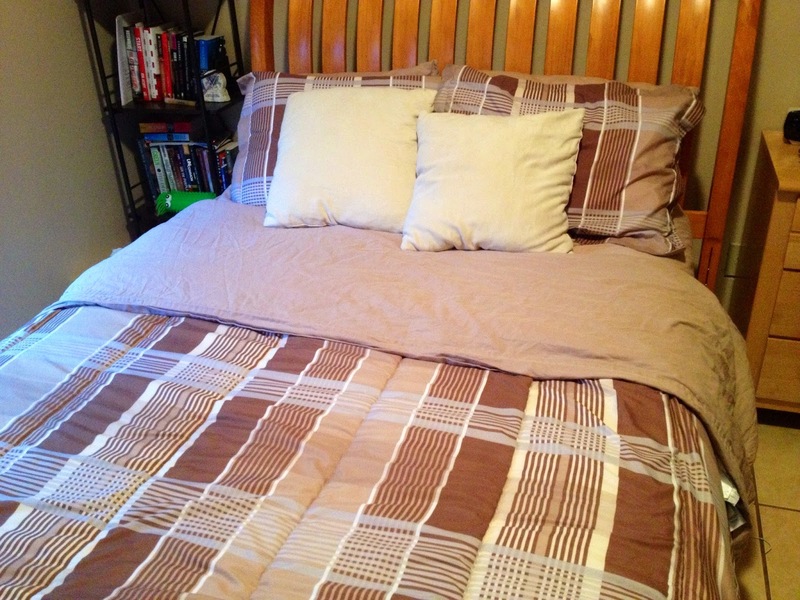 I have been making my bed lately (trying to keep my room cleaner) and it's amazing walking in and having the bed made. It also attracts less clutter because I don't want the bed I just made to have items on it.